Twelve different units. All of them good-looking, spacious and practical. Simple yet smart, they are ready for everything: designing, arranging, storing, changing things around. 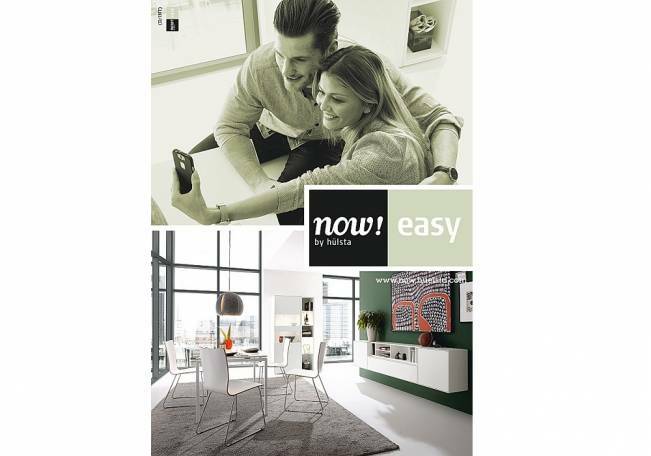 Modular living with now! easy is exceptionally versatile, as this pretty range allows you to wall-mount, stack and combine different units. It has no problem with rearranging, moving or following trends. Clean and simple lines, an uncomplicated approach. The pure white now! easy units featuring light grey frames and subtle accents in natural oak or light grey lacquer do not just complement each other, they also look fabulous in a creative mix of styles.